The Ootori Nova N500 is a budget version of the Ootori Asuka A600. Despite the significant price difference, the former manages to hold its own as the N500 is a great option for people who are looking for a budget massage chair that performs well. Read our full review to find out why buyers are leaving very positive feedback for the N500. 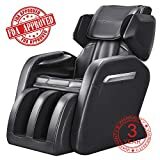 Ootori has been manufacturing and selling massage chairs for the past 6 years. Their designers are based in Denmark and their factory is located in Shanghai. While not as well-known as Inada or Human Touch, this brand at least has a functioning website and a customer support team. See their promotional video below. Apart from massage chairs, they also sell massage tables, recliner chairs, and accent furniture. Ootori chairs have a standard 3 year warranty. The company promises to cover all labor and cost. They can even go to your house or office and do repairs. However, you will need to register your purchase within 30 days from the delivery date. If you miss the deadline, your warranty is voided. You can register your warranty here. 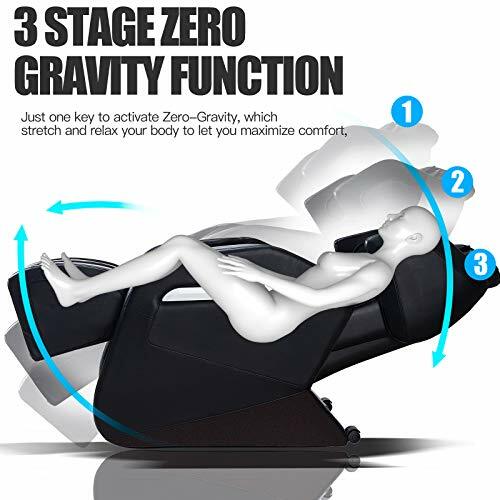 Zero gravity technology – This allows the chair recline to a fully flat position. At Deep Zero Gravity position, your feet are positioned higher than your heart. This is a very relaxing position that has many health benefits for the body. 8 massage rollers for the back – This model features eight rollers in the back rest that matches the contour of your spine and body. These rollers are able to do kneading, tapping, and rolling massage simultaneously. Apart from the back, there are also rollers situated in the neck and buttock areas. 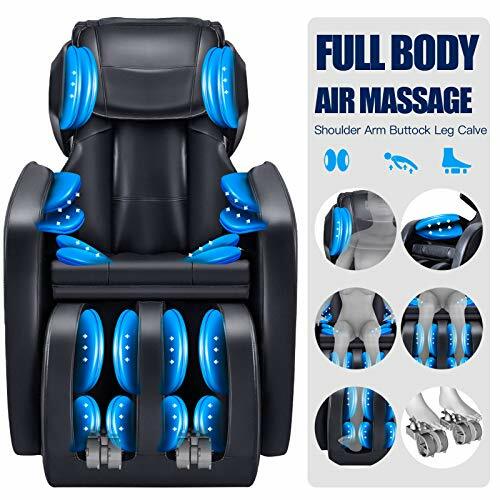 30 airbags – Complimenting the roller massage are airbags placed strategically throughout the chair. These inflate and deflate to give you an air massage. 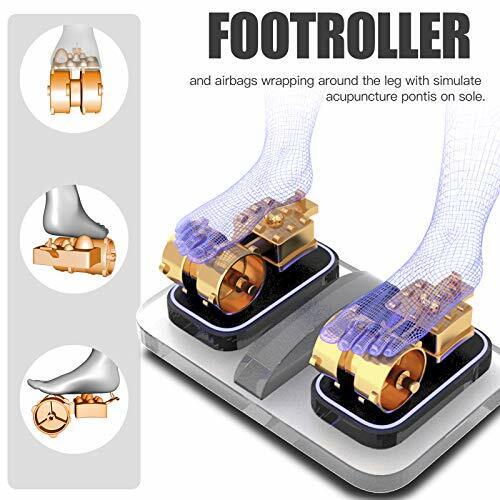 Foot rollers – Taking inspiration from acupuncture, the foot rollers target and stimulate acupuncture points on your feet to relieve foot pain from daily activities. Lumbar heat – The N500 has heat for your lower back. LED remote control – You can take your pick from the automatic programs using the digital remote control. You can also adjust intensity and speed of the various massage programs. We’ve said it again and again; we love it when a chair has zero gravity. It’s one of our favorite features on a massage chair. When you are reclined in this manner, your blood flow is boosted all throughout your body. In addition, the constant pressure on the spine brought on by gravity and being on our feet all day is relieved as pressure is taken off our back. Now what’s surprising about the N500 is that it has three zero gravity positions. A lot of massage chairs only have one and yet the Ootori has 3. Triply impressive at the price. Sadly, it’s becoming more and more common nowadays for online sellers to post fake reviews in order to push up their star ratings and push buyers to choose their products. This brand and model though has real feedback on its pages and they’ve been largely positive. The most common feedback is that buyers are enjoying their chairs immensely and some are even using them everyday. If you can’t shell out a thousand bucks but want a massage chair, then the Ootori N500 is a good model to consider. The N500 is not the first Ootori chair we’ve reviewed and it’s apparent that this manufacturer gets it right when it comes to the foot rollers. Most of the time, we only mention the foot rollers of a particular model to complain about how intense or strong they are. This is one of the few reviews we’ve done where we can actually talk about how much people are loving the foot roller massage. 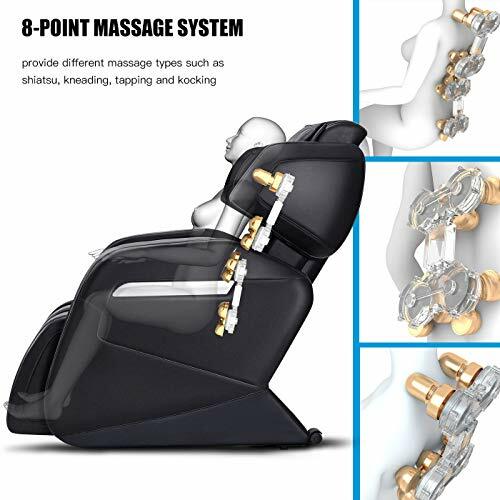 On top of the roller massage, your lower limbs also get a gentle downward massage from the airbags. If you are on your feet the whole day or have plantar fasciitis, then you’ll definitely appreciate this foot massage. We like how you have the option to choose from a 5, 10, or a 15 minute massage. Some days, you just want something very fast and some days, you have enough time to pamper yourself. It’s also a plus point that the chair moves back to seated position once your time is up. Not all massage chairs do this and need to be powered down so they could go back to an upright position. As of writing, Ootori chairs have one consistent weakness – the lumbar heating. It is notably weaker than most other models and brands we’ve tried. This is quite disappointing because we love a heated chair. It’s great for lower back pain and it’s toasty and comforting during the cold months. We’re coming out with a list of massage chairs for tall people so watch out for that. The Ootori Nova N500 is a budget chair with core features like roller massage, aircell massage, vibration massage, and preset programs. It also has some surprising features like 3 zero gravity positions and a highly praised foot roller massage. The icing on the cake though are the satisfied people who have bought the chair. If you can do without strong lumbar heating, we highly recommend this model.